Ten miles off Scotland and hopelessly out-matched, a band of monks and fishermen defend their island homes from fearsome Viking raiders! 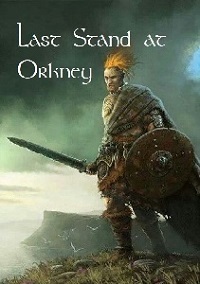 In the 9th century, Norse raiders landed on the wind-swept shores of the Orkney Islands off the coast of Scotland. The fishermen and monks of the isles valiantly defended their homeland against the fearsome invaders. This is the story of their last stand. Filthydelphia is the acclaimed and award-winning designer of over a dozen historical custom campaigns and the official Portuguese and Burmese campaigns featured in the African Kingdoms and Rise of the Rajas DLCs. His works also include several of the revised campaigns featured in Age of Empires: Definitive Edition. Last Stand at Orkney is Al_Kharn the Great's entry to the 2018 Defend the Spot Competition. This entry casts the player in the role of Gaelic villagers mounting an ill-fated defense against Viking raids a la Mash’s ‘Wind of the North,’ albeit with a differing take in terms of gameplay. The player begins with a set of far-flung bases and must rush to build a town center and organize an effective defense of several monasteries against a militarily and technologically superior enemy. Owing to this setup, the player is forced to defend on multiple fronts, although the sense of urgency is lessened by the fact that the AI tends to make rather predictable sets of attacks on the same position until it is taken, allowing the player to put all of their eggs in one basket and even game the scenario somewhat. Fast-paced but fair and manageable, the scenario demanded savvy tactics and the even distribution of effort between defense, growth, and exploration. Attacks arrive early and often, putting the player in a position where the desperation of the locals is palpable but victory is nevertheless never entirely out of sight. However, as the attacks mount in ferocity and strength, the player is forced to utilize gamey tactics such as luring enemy units in a circle around the town center, excessive walling, and utilizing the predictability of the enemy attack routes to pick transport ships off with galleys before they can reach the shore - a viable tactic of course, but somewhat cheesy due to the predictable and redundant nature of the enemy attacks. If there was to be a knock on the creativity, it would be that the author seems to have drawn a considerable amount of inspiration from Mash’s ‘Wind of the North’ in terms of concept, map layout, and several gameplay elements. It should nevertheless be noted that this scenario was by no means derivative from Mash’s work despite a noticeable set of parallels, and provided its own and quite enjoyable playing and viewing experience. One major strength was the degree of randomization that the author used in map generation to further augment replayability. As always, the author brought his own unique and effective map design style to bear on a map that makes near-maximum use of the HD Edition scenario editor. The result was visually pleasing and fun to play, a double strength that the author prides himself on. The Orkney Islands were presented in a realistic and visually exciting manner that were fun to explore and defend. One weakness perhaps lay in that the design was generally missing that touch of final polish that could have resulted in a perfect score; another was that the AI bases seemed to contribute to less than effective behavior, although this is more of a technical point and did not seem to affect balance in a negative manner. The story and instructions, always a strength of the author, were no exception in this case. Brief but strong writing and atmospheric additions through sound effects contributed in a positive manner to this, as did the author’s focus on outside-the-box gameplay where there lies more than one path to victory. A fine scenario capable of being enjoyed several times over, this entry should be a part of any player's download portfolio.